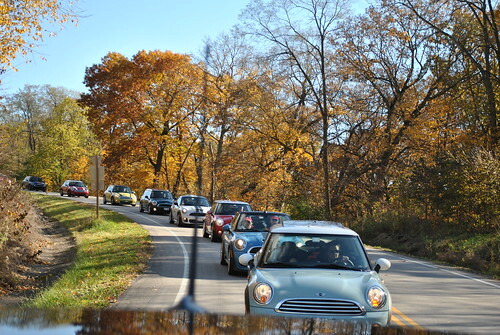 November 1st will be the date of our annual drive out to Starved Rock State Park. 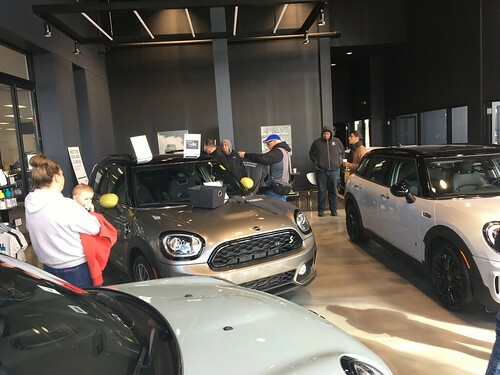 WRAPUP: Fantastic Fall weather brought out a crowd of about 50 MINIs for a fun back roads drive. A short stop at a kart racing track along with a photo-op on the course was a cool added bonus. Huge thanks to Matt and Sylwia for the route planning and for leading the cruise!! WHEN: Sunday November 1st Departure at 10AM WARNING.. This is the first day of Daylight Savings time!! Add a comment so we know how many people to plan for.. Huge thanks to Matt & Sylwia for the route planning!! Are we stopping for lunch? We dont have specific lunch plans, so either food at the park or people may break out and head to one of the nearby towns for lunch. Looking forward to it. Sherri & I will be in attendence. Maybe lunch at the lodge? I’ll be tired, but I’ll be there. I will be there, looks like I will be coming by my self. Cool.. Starved Rock has been a first event for lots of people!! Always fun to go out there. Tawana and I will be there. I am looking forward to attending . I’m coming from IN. Is there an admission fee to get into Starved Rock? Hey Matt.. no fee for the park.. Lunch is on our own.. there are a couple places at the park, and often people break out and find an eatery in a nearby town. I’ll be there with my wife. Might have a friend tagging along in his car too, not sure yet. Is there a route? I plan on meeting you on the road. Sorry John.. was on the road before you posted this..